She built a herb garden and what happens next will amaze you! 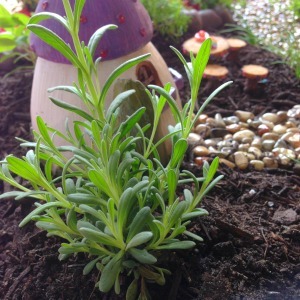 Creating a fairy garden is one thing, building a herb garden is another, but when you bring together herbs and fairies and lets the kids create, magic happens. Giving kids the autonomy to create in their own space is not only rewarding for them, but it encourages engagement and a sense of ownership. To start with, they started by planning what type of herbs and fairies garden they wanted to create, and a ‘village’ style was top of the list. Lots of colour and magic were also a must so when our parcel arrived from Garden Sparkle, the kids started working on the layout. Do you know any little fairies that will love this? 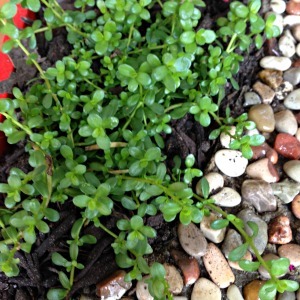 Brahmi – is a memory herb, which can be used in salads or sandwiches. You can even add it to green tea. They grow is part – full sun and make sure they don’t dry out. Really good for suppressing weeds. 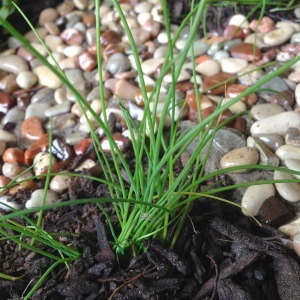 Chives – can be used in omelettes, salads, sauces and soups. The leaves have a mild onion flavour. In early Summer you’ll get a pretty mauve flower. Good for pots and loves the sun. DIll – works really well with fish, especially Salmon and has a mild aniseed flavour. You can also add finely chopped leaves into salads, use in a dip or spread, or simply as a garnish. Grows in full sun and is known to have beneficial digestive properties. Blue Scent Lavender – thrives in a sunny position in well-drained soil. Lavender has so many benefits not only as a calming scent in a bath, oil or soap, but you can also use it in drinks. 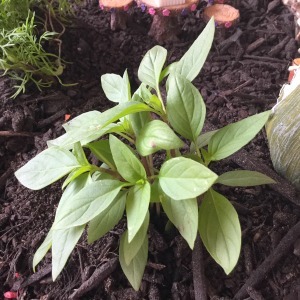 Siam Queen Basil – is a very pretty basil and can be used fresh or dried just like you would with any basil. It produces a deep purple-red flower and has a strong scent and has a distinct clover/liquorice taste. 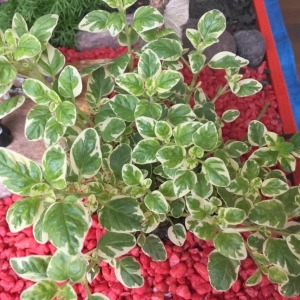 Variegated Oregano – is a milder tasting variety of oregano and is considered a high source of many vitamins and minerals. Likes a sunny position, with part shade, and will need protection from the cold weather. Used in a wide range of dishes, it also makes an amazing Oregano Oil. 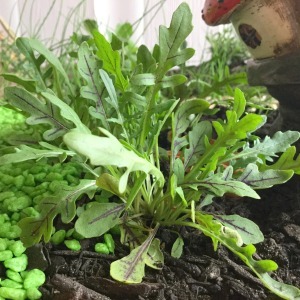 Red Veined Rocket – has an amazing nutty, spicy flavour and is high in nutrients. You can use rocket as an addition to a salad, or in replacement of lettuce completely. Grow in full sun – part shade and it’s recommended to harvest the outer leaves. 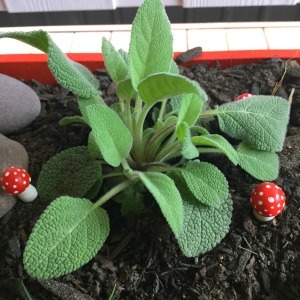 Sage – is a unique herb which you can use with vegetable & meat dishes. The flavour is amazing when it’s used as a stuffing and I highly recommend trying sage butter. Loves the full sun, and needs to be grown in well-drained soil. Lemon Thyme – is a great addition to any garden and grows as a low evergreen shrub. With many health benefits, you can add to any meal with a citrus flavour. 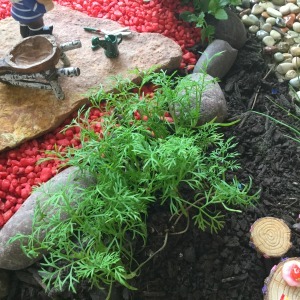 It grows well in full sun and doesn’t like wet feet. Sweet Marjoram – loves the full sun and has small white flowers in Summer. It has a mild spicy flavour and can be used in a wide range of meat & vegetable dishes. Add to bread, seasoning and stuffing. Kids garden gloves available here.